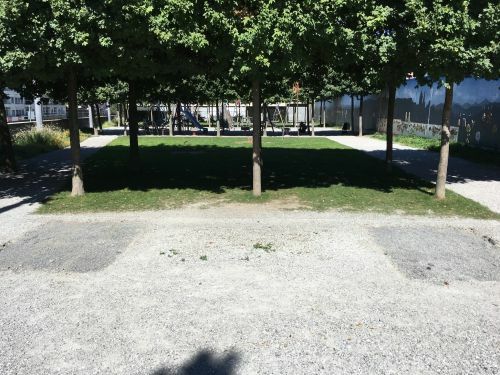 2 Stein-Tischtennisplatten, teilweise schattig, leider nicht immer ganz sauber da, aber meist leer. 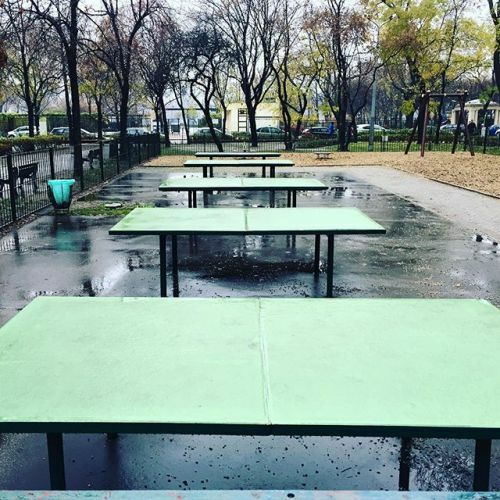 a nice ping pong table, part of a playground and park, close to student's residence. 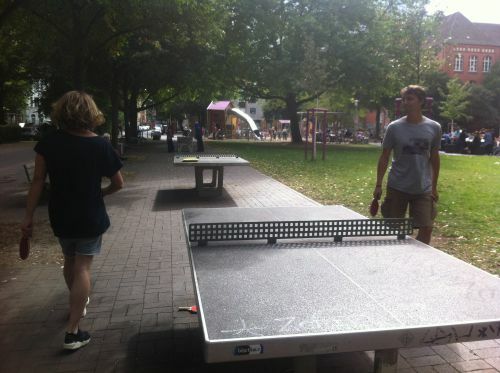 Two nice pingpong tables made of stone, in the area of the HTWG. Free access. top table in peaceful environment. bring your own net and a broom.